I know lots of states are still dealing with tons of snow. 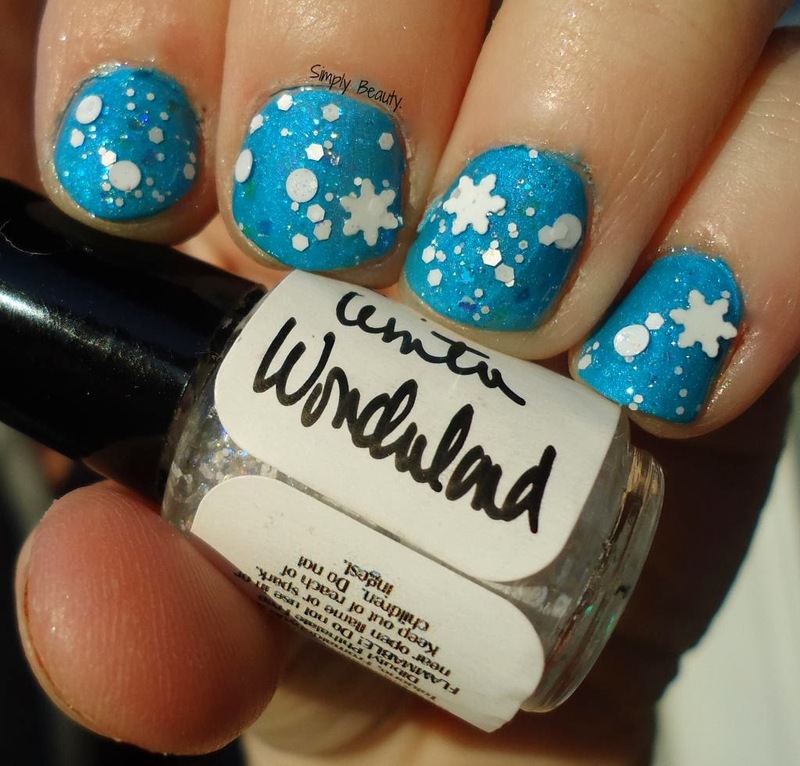 small, medium, and large white circle glitter, and large white snowflakes. I really like it over the blue base. 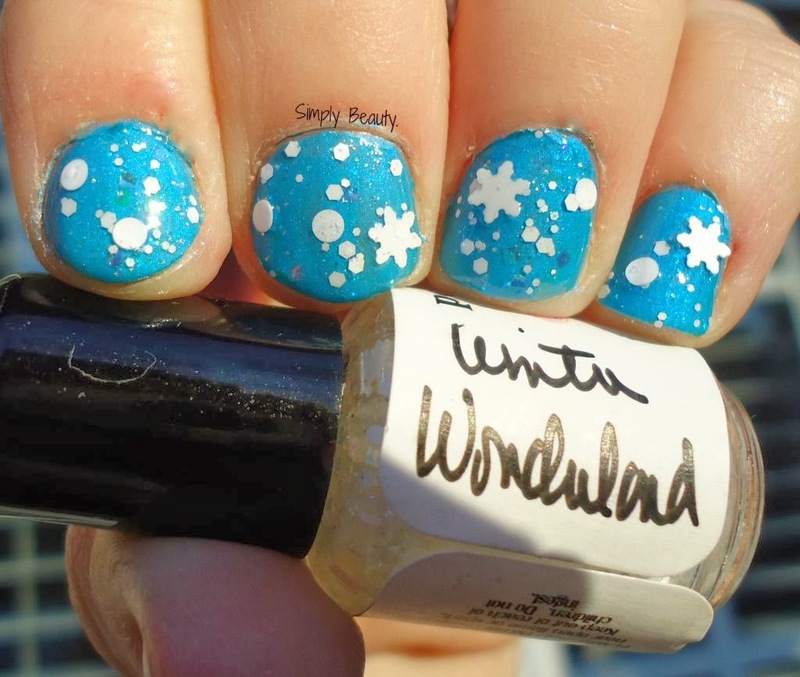 What do you guys think about this top coat?